If you use light wood or wicker furniture in your bedroom, consider a coastal-inspired look. Coastal bedding is light and breezy, so go for moisture-wicking sheets in linen or cotton. Breezy blue or tan colors will only add to the coastal charm. You can go for a bedding set that features sea creature motifs, like starfish and seahorses, but that’s not the only way to do seaside chic. Try a more subtle take on coastal with pillows and comforters that showcase beachy pinstripes or Mediterranean prints like Greek key. Shabby chic bedding is as sweet as your grandmother with a cup of tea. This style creates a homey atmosphere perfect for welcoming guests. But that doesn’t mean your bedroom has to feel like a dollhouse. Combine vintage decor with frilly, feminine touches to create a shabby chic nest all your own. Start with soft floral-patterned sheets, piles of Euro and bed pillows, and knit throws. Then top it all off with a fluffy duvet in a pastel cover for the ultimate shabby chic bedding arrangement. If you refuse to choose between comfort and simplicity, consider going Scandinavian. 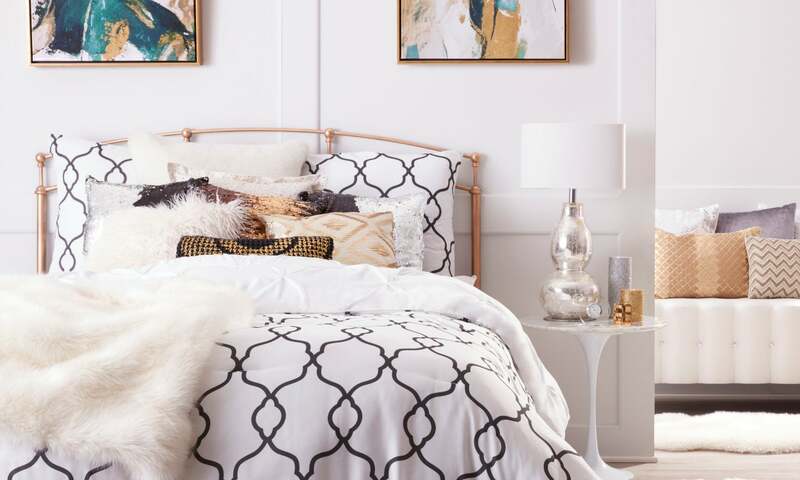 To get the look, top your bed with a fluffy duvet or down comforter. Add pillows as needed, but if you opt for high-tier products, you won’t need many. Scandinavian bedding looks best paired with the clean, sharp lines featured in minimalist furniture. Solid colors are often preferred, but you can punctuate the predictability by adding some patterned throw pillows or a simple blanket. Cleanse your palette with fresh and refined French country bedding. 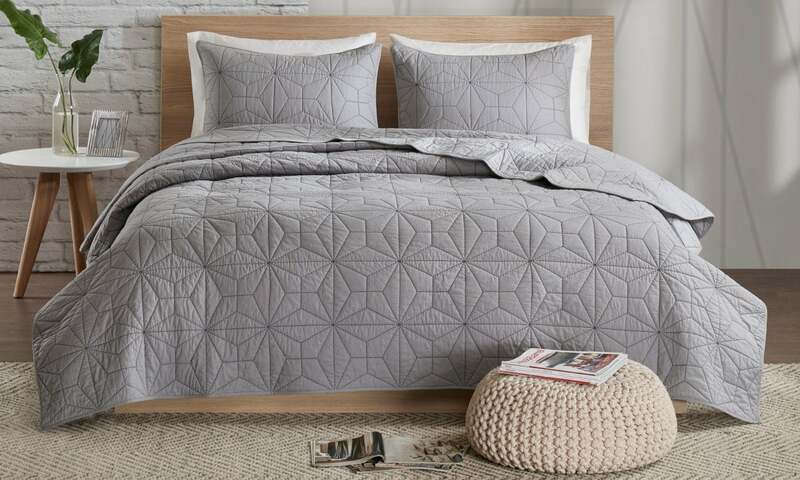 This bedding looks best alongside traditional decor and neutral wall colors like taupe. A little luxury goes a long way when you add highbrow touches like sateen sheets and patterned pillow shams. Play with patterns like jacquard or toile in pillows, blankets, and duvet covers to really capture a sense of provincial elegance. You may be a free spirit, but even nomads need the occasional nap. If your decor has your bedroom feeling like a bohemian haven, get bedding to match. Embrace color in your boho bedding with rich jewel tones like peacock and magenta. Laying down an Eastern-inspired bedspread featuring mandalas or other world prints is another way to quench your wanderlust. For some extra hippie flair, match your throw pillows to the wall decor or tapestries hanging in your room. With fabulous style like yours, skipping beauty sleep is never an option. The glitz of classic Hollywood and the Art Deco movement inspired the modern glam style we know today. When shopping for bedding, luxury is the name of the game. Spoil yourself with ultra-plush blankets and pillows made of faux fur, velvet, or satin. When framed by a statement headboard, glam bedding will leave you star struck. You don’t have to be from the country to appreciate farmhouse bedding and decor. Modest and clean, farmhouse bedding comes in many styles. Go for a homemade look with a patchwork quilt, buffalo plaid throw, or fluffy white comforter. Pair with grey or tan cotton pillow shams to finish the look. Mid-century modern is part eye-catching kitsch, part updated retro, but all style. This versatile look matches full 1950s- and 60s-inspired decor with fresh modern sensibilities. Modern bedding with vintage-inspired furniture puts a fresh twist on an old style. Spice things up with geometric-patterned throw pillows and vibrantly colored bed sheets. We hope these stylish bedding tips have helped you liven things up in the bedroom. For more information about different bedding styles, check out the Best Sheet Color Combinations for Your Style.